I’ve spent plenty of time kicking over the rocks of Smart Home to uncover devices and brands that have flown under the radar of the greater populous. While many have great features, some have ended up building momentum and others haven’t had their big break into the mainstream connected community. When it comes to smart locks and security devices however, sometimes betting on the favorite pays off just as expected. Not quite a year into its long-awaited debut, I finally got my hands on the Nest x Yale smart lock ($279.99 with Nest Connect) to see if the hype was valid, or just a marketing play. Nest x Yale — A Match Made in Heaven? Off the bat, it would seem that the name says it all. 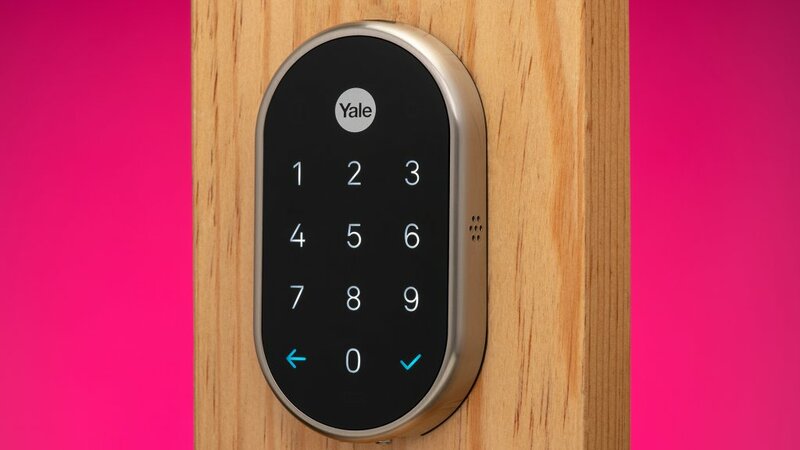 Nest knows how to build great software and awesome connected devices, and Yale knows locks. A collaboration between two brands that are at the top of their game for their devices, backed by Google. Over the past couple years, the Nest ecosystem has been rapidly expanding from the Wi-Fi thermostat that started it all, and covering Smart Home security in a variety of facets. Yale has been making locks since 1868, so it seems that Nest couldn’t have partnered with a more well-respected brand in the industry who actually knows locks, rather than try to completely build one themselves. The Nest x Yale exterior design is a rather simple and small-form keypad compared to other smart locks I’ve had experience with. It definitely looks more Yale than Nest, which I don’t have any complaints about. The complete keyless nature of the device helps to reduce the overall heft of it, and aside from the thin bezel (the model I had was satin nickel, but also available in oil-rubbed bronze and polished brass). A blueish-white LED keypad is only visible when the lock is awake, otherwise the black screen is unassuming and fits in with the door hardware. It might come as no surprise that since the mechanical guts of all deadbolts and door locks are pretty much the same as their connected relatives, installation of a smart lock is very similar to installing a regular lock or deadbolt. Unfasten the two screws securing the interior mounting plate of the current deadbolt, or if there is no current deadbolt in place be sure to use a drill, hole saw and chisel to carve out the proper seating area. On replacement installs, remove the interior and external deadbolt components by pulling them apart from either side of the door. Remove the screws holding the latch to the edge of the door, and remove the deadbolt assembly. Reverse the process for the installation of the new hardware for the smart lock, and thread the power cable from the exterior portion of the unit to the internal half, ensuring there are no obstructions of deadbolt movement. Plug in the Nest Connect near the door, download the app and follow onscreen instructions to pair the Nest x Yale smart lock. What is the Nest Connect? Nest Connect is the Wi-Fi bridge that connects the smart lock to the Wi-Fi network so it can be used with Google Home devices or via app. By acting as an intermediary between the Nest x Yale lock and the Wi-Fi network, this supposedly extends the battery life. 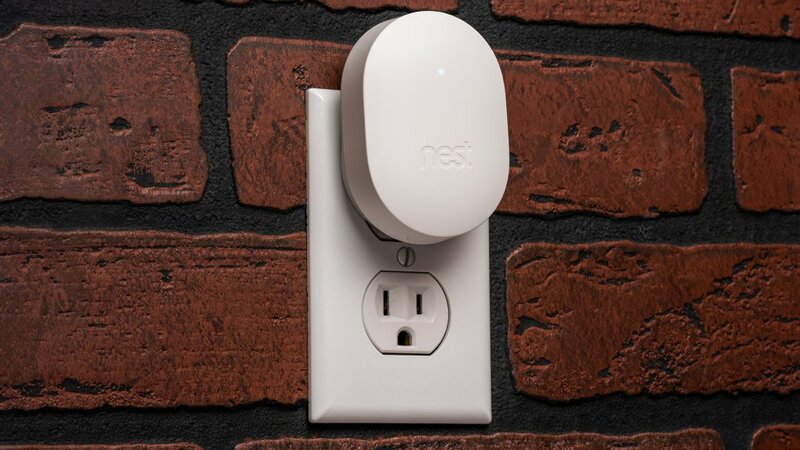 Another function of the Nest Connect is to act as a range extender, to allow various Nest Secure devices like Nest Detect sensors to be placed farther apart in the home. 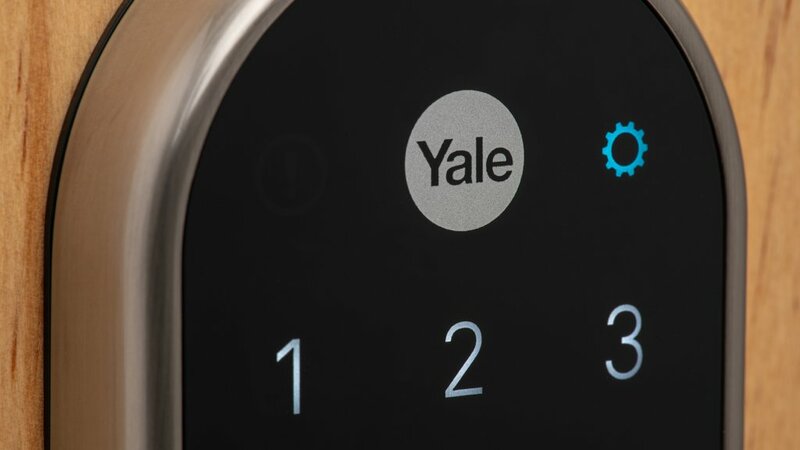 As noted, the Nest x Yale lock is completely keyless, with a touchpad for entry by pin code or using the Nest app. The benefit of not having a keyhole on a lock is simple; you can’t pick or bump a keyless lock. Using the app allows users to not only lock and unlock the deadbolt, but also set up to 20 pin codes for different individuals for extended or limited durations, and monitor the usage. The app allows for notifications of lock and unlock activity, and a cool function is getting an alert for five incorrect attempts. Privacy mode is a bit awkward to me. The little white button on the interior portion of the unit can be pushed to engage this mode, which disallows any pin code from unlocking the deadbolt mechanism. During the time when Privacy Mode is engaged, the only way to disable the deadbolt is via the app. Nest states this is useful “for when you are taking a nap and don’t want to be disturbed”, but I don’t really see that being a common use for an external deadbolt. I found in regular use, due to the placement of the button to enable Privacy Mode, when I would lock the deadbolt from the inside manually the button would sometimes become engaged accidentally. It would be great to have an option in the app to disable manual setting of the Privacy Mode, since this would be an extra hassle for those coming home to use the app for unlocking (or for visitors calling the owner). Using Home/Away Assist, Nest uses geofencing to detect when the user phones are near, as well as activity from other Nest devices like thermostats or cameras. There are limitations to the extent of the functionality of this, but it can automatically lock the door when everyone is leaving the home, or allow for a time delay before locking in case something is left behind. Of course no smart lock these days is complete without voice assistant integration, and this one is on team Google Assistant. While users can’t disable the lock via voice command (due to safety reasons, quite understandably), you can lock the Nest x Yale unit and check if it is locked via direct voice command or as part of a scene or Routine. 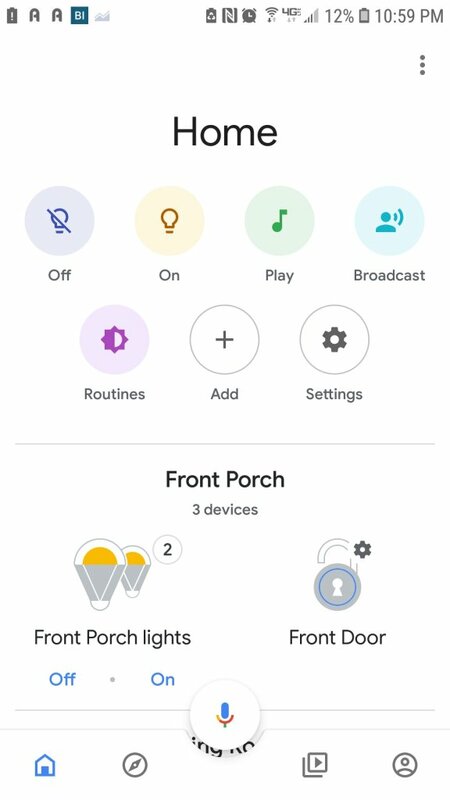 Linking devices in the Google Home app and creating Routines like “Bed Time” for example, can lock the door, turn off certain lights or whatever else you want. Just using the straight command “Okay Google, lock the front door” executes the locking, gives verbal confirmation of the command, and reports the successful locking completion. It can’t be much easier, and I found it worked every time I tried without issue. At this time, and for the foreseeable future, the Nest x Yale smart lock does not work with Amazon Alexa. Brief history lesson — Google owns Nest, and Amazon owns Ring. Of course being the only two voice controllers that matter, they are locked in a feud and would prefer you to stay in their ecosystems. Both companies are fervently pumping out devices to expand the connected home ecosystem, many of them directly competing with one another, and as such the Nest x Yale lock is precluded from the Alexa Skills collection. Nest has expanded their home ecosystem to include the cornerstone Nest Thermostat line, Nest Cam line, Nest Protect CO/smoke alarm, Nest Secure alarm and Nest Hello smart doorbell. There are a variety of factors that contribute to how well Home/Away Assist works automatically, like signal strength, device locations and others as Nest states, but the program is designed to become “smarter” as it is used more regularly. Home/Away Assist can also be triggered manually for scenes to kick in. Nest Hello and Nest Cam can stop streaming video or triggering alerts (mainly for interior cameras) when users are home and engage video streaming and alerts when users are away, to save on bandwidth for other things. However, the cameras are not detecting whether the system should enter Home or Away modes, they use the phone’s location. The Secure alarm system from Nest can pair with the Nest x Yale Wi-Fi lock, so that when the lock is disengaged the alarm is automatically disarmed, which is a nice feature. Is a Nest x Yale the Best Keyless Smart Lock? During my time using the lock I got a few audio messages that stated the deadbolt could not be locked when trying to leave the home, however it locked just fine and there was no obstruction. This did concern me when I was on vacation and my father-in-law was watching the house, since I would get the notification the door couldn’t lock and watch him on the camera leave the house. Fortunately, this seems like a precautionary measure but successful locking of the device does not send a replacement message, however that would be a good way for owners to feel comfortable about their visitors and home security when they are away. One of my initial concerns with having a completely keyless Wi-Fi lock was the fear of getting locked out if the battery died. After some experience with the Nest x Yale smart lock (and a few other connected locks with key backup like Ultraloq and igloohome) I have realized it is a rather unnecessary fear. The battery life on most Wi-Fi locks are really quite substantial, and the four AA batteries that power the Nest x Yale Wi-Fi deadbolt can last one year with normal use. When the batteries run low, the app will notify users to think about swapping them out for fresh ones beginning five months in advance. Once they run critically low, users will receive another notification. If the batteries run completely dead, there are two metal terminals tucked away on the underside of the unit to give it a jump with a standard 9V battery. To me, that is enough security to ditch the key and have a more aesthetically clean look. There are some smart locks that just came out at CES 2019 which have geofencing capabilities, which can disengage the lock when it senses you are at close range. This is probably the pinnacle of front entryway ease of access. Unfortunately, the Nest x Yale lock does not have this available, at least at time of writing. I think that for some of the other locks out there with this capability I would be drawn to those more for this simple fact, if I was going to use the Nest x Yale deadbolt as a standalone device and not try to tie all the connected devices together. For those looking to build out a complete Home Automation ecosystem with various elements and want to be sure everything plays together nicely, the Nest platform is a solid route to choose. 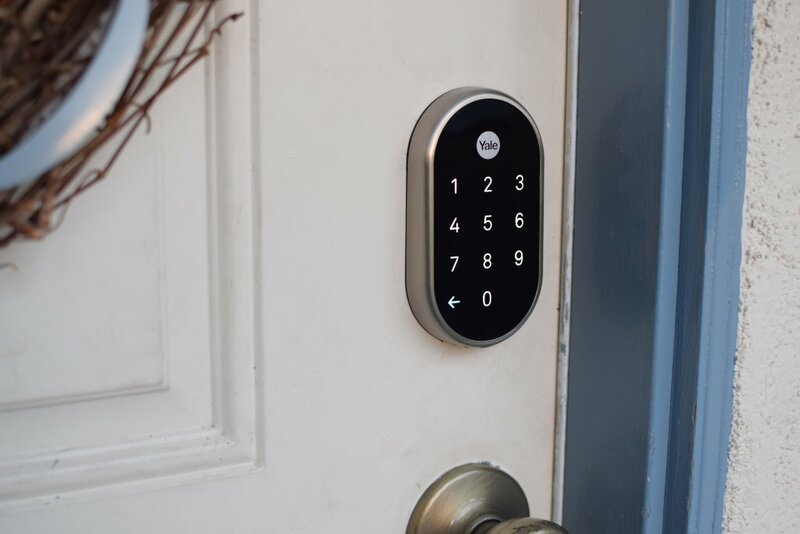 The Nest x Yale smart lock, Nest Hello doorbell, Nest thermostat, Nest Cam and Nest Secure alarm cover a wide swath of the connected devices that one would need, and are all plug-and-play with one another. 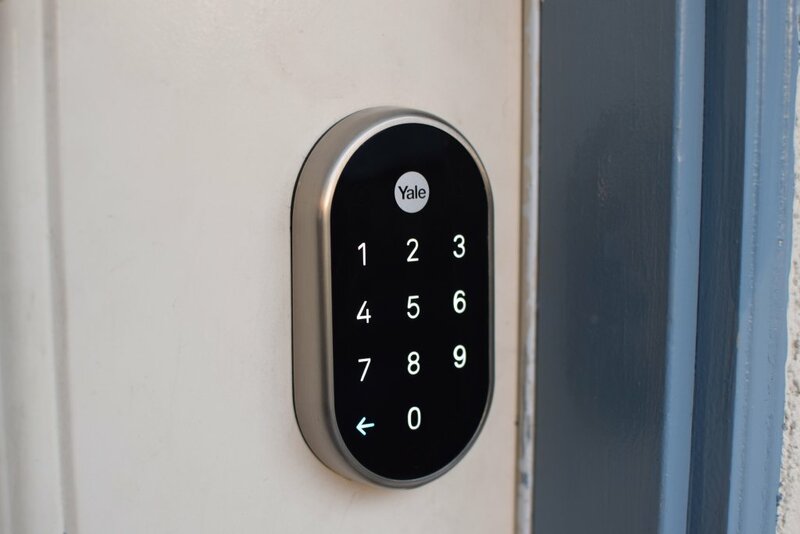 Even with the shortcomings of not having one-touch or geofenced entry into the home with the Nest x Yale smart lock, the ease of use, purposeful design, connectivity to the Nest ecosystem and rock-solid app make this a strong contender for the best smart deadbolt available now. Note, all prices and products are accurate at the time of article publication, although some may have changed or are no longer available. Nest x Yale partnered on a smart lock which connects with the greater Nest and Google Assistant Smart Home ecosystem, with solid results. Greg is a collector of hobbies, steeped in a love for the outdoors. Drop him in the woods and he's more at home backpacking, hunting, fishing, camping, and drinking out of streams than he is behind a desk pounding away at a keyboard. He's an avid homebrewing enthusiast and a craft beer fanatic. When he isn't concocting the nectar of the gods he uses artisanal coffee as a crutch to get through the week. He enjoys testing out the latest drone tech and is a firm believer in the power of IoT and home automation tech to bring us into a more productive future (or give way to Skynet, time will tell). Travel and soccer are some of the passions that connect him to the world beyond.